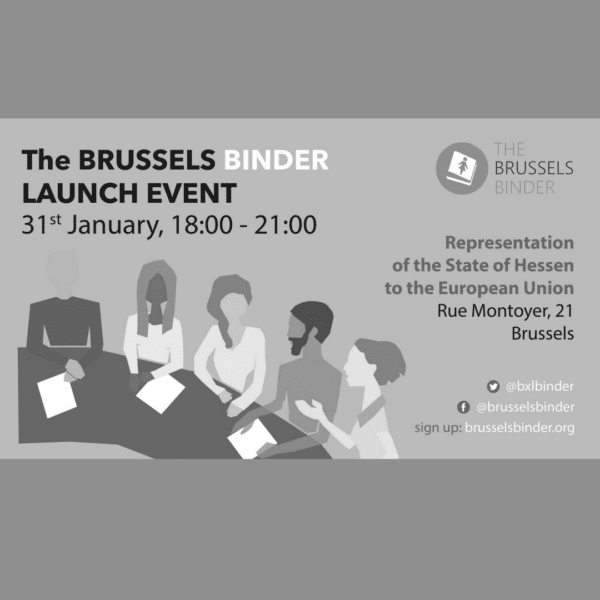 We are launching the Binder! 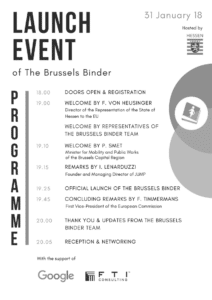 Finally, the day is here – the official launch event of The Brussels Binder! The event will take place on Wednesday 31 January 2018 at the Representation of the State of Hessen to the European Union (21, Rue Montoyer, 1000 Brussels). The doors open at 18:00 and the official programme is scheduled until 21:00. Join us and celebrate with us as we all cross a new threshold in the Brussels policy-making community. We are immensely grateful to the Representation of the State of Hessen to the European Union for hosting, and to Google and FTI Consulting for support and contribution in the event’s organisation.